Alice slipped away peacefully in her sleep with family at her side and went to be with her Lord on January 23, 2019, at the age of 91. She was born in Poland on August 14, 1927 to Adolf and Alma Bonn and emigrated to Canada in 1948. She is survived by Alfred, her loving husband of 64 years, daughter Loralee (Larry) Gardner, son Paul (Charlotte), daughter Shelley (Scott) LaHay, and grandchildren Erin, Heidi, Lisa, Matthew, William and Emily. She is predeceased by her parents, her sister Lily, and brother Emil. The family are grateful for the wonderful care she received from Dr. Michael Hopman and the Interior Health Homecare team, who allowed her to spend her final weeks in the comfort of her home. A Celebration of Life will be held at 10:00 am on Tuesday January 29, 2019 at Springfield Funeral Home, 2020 Springfield Road, Kelowna. In lieu of flowers, donations may be made to World Vision Canada, www.worldvision.ca. 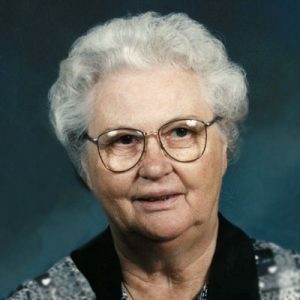 The service for SCHMIDTKE, Alice is scheduled for Tuesday, January 29, 2019 at 10:00 am. Below you will find the map for the service location and the contact information should you have any questions. Heartfelt condolences and regards from Ron & Michelle Gietz and family.